Welcome to the Aldeburgh Society. Formed in 1974 as the civic society for Aldeburgh, our aims are to care for and nurture the character of the town and its surroundings on the East Coast of Suffolk. Through informed, energetic engagement (meetings, responses to planning issues, publications and events), we encourage the preservation, development and improvement of public amenities and features of historic interest. We aim to encourage high standards of architecture and town planning in what we believe to be one of England's loveliest seaside towns. We provide members with a link to and support in exchanging with like-minded bodies in Suffolk. Our social calendar includes a winter Lecture Series, hosting talks from experts on topics of collective interest, designed as a stimulus for the Society's collective direction. The Society is run entirely by volunteers. Its President is Tony Bone and its Chairman Katherine Mackie. Aldeburgh is an unspoilt resort on Suffolk's Heritage Coast, dating back to a medieval fishing and ship-building hub (the birthplace of Francis Drake’s Golden Hind). It has a population of about 2500, which increases threefold in the summer months. Surgeon, poet and clergyman George Crabbe, author of The Borough (1810) Britten's source for Peter Grimes, was born in Aldeburgh. 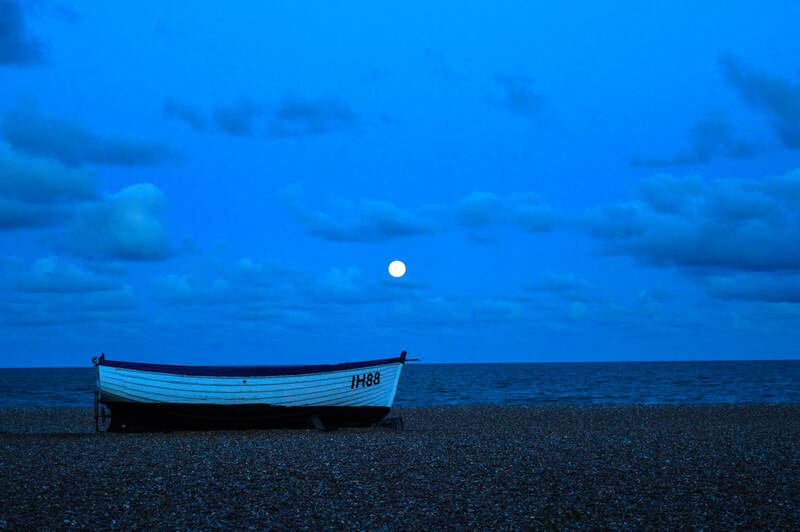 Aldeburgh has a long, steeply-shelved shingle beach, with a handful of small fishing boats whose owners sell fresh fish from huts along the seafront. Close to the beach is the 16th Century Moot Hall, home to the town museum and used today for council meetings. Composer Benjamin Britten lived in Aldeburgh and founded the world-famous Aldeburgh Festival. The parish church has a memorial window in his honour, designed by John Piper. St Peter & St Paul’s Church has a 14th Century flint tower. Elizabeth Garrett Anderson, Britain’s first woman doctor, was also Britain's first female Mayor here in Aldeburgh. Her sister, Millicent Garrett Fawcett, also a resident, was a key player in achieving women’s suffrage; she is the only woman to have a statue in Parliament Square.